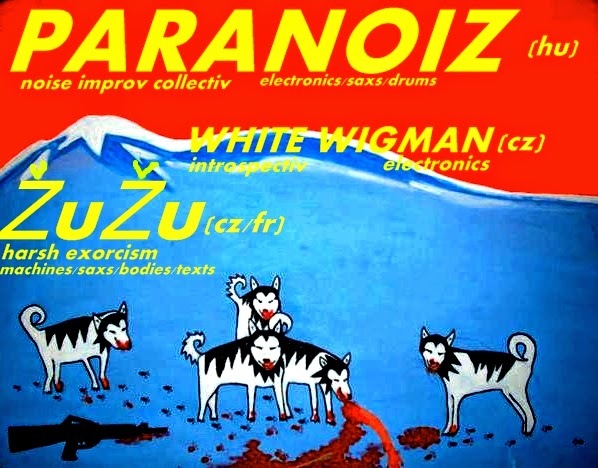 is a project that creates massive, improvisatory noise music with a unique line-up. Present members ( Kálmán Pongrácz /aka Rovar17 -laptop, live electronics ; Gábor Tóth/aka Tgnoise - live electronics; Krisztián Bartha - drums) -- build up a 'harsh', 'ambient noise' based rhythm-heavy sound on each concert. Among others, this project aims at broadening the noise soundscape with novel, experimental sounds, in search for new structural dimensions. For this reason, they invite guest performers on each occasion who don not necessarily or expressly operate in the noise music scene. or Fucked Duet with Klamm!